Soprano Susanna Phillips has received the fifth annual Beverly Sills Artist Award for young singers given by the Metropolitan Opera. The 28-year-old from Huntsville, Ala., received the $50,000 prize Tuesday. The award is for American singers from 25 to 40 who have appeared in featured solo roles at the Met. 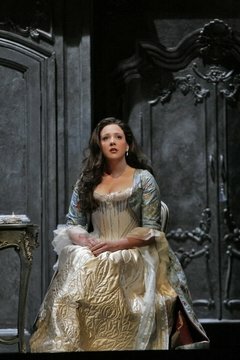 Phillips made her Met debut last season as Musetta in Puccini's La Boheme and sang Pamina in Mozart's Die Zauberflote this season. She is a graduate of the Ryan Opera Center at Lyric Opera of Chicago and is a winner of the 2005 Metropolitan Opera National Council Auditions and Placido Domingo's Operalia. 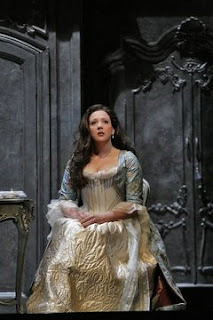 Previous winners were baritone Nathan Gunn, mezzo-soprano Joyce DiDonato, tenor Matthew Polenzani and bass John Relyea. Dear Bubbles: Singers who have appeared in solo roles at the Met hardly need $50,000. Wish you had left your money to developing singers and young artists who actually need it.